Does My Pet Parrot Understand the Word No? When you say “No” to your pet parrot, dog, or cat, does he know what you mean? This is a common question we get asked when we are consulting with our clients with regard to problem behavior, and it’s a great thing to consider. 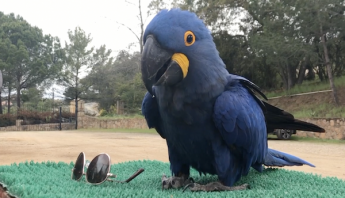 We might tell our parrots “No bite,” or “No” when we don’t want them to grab on to buttons, glasses, jewelry, or something else we value when it is intact, but does this change their behavior? What exactly does “No” mean? The answer is that it depends. Animals don’t inherently understand the tone of our voice, our facial expressions, the “evil eye,” or exact words. They are masters of deciphering context, the “if-then” contingency. If this happens, then this comes next. If I perform this behavior, then I will achieve this outcome. If-then is the fundamental tenet of learning. 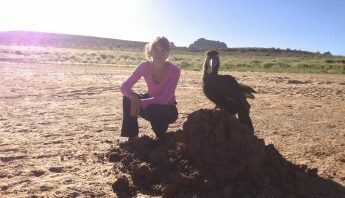 Case in point: one of my animal training inspirations, Emily Larlham of Dogmantics Dog Training (Kikopup, if you are familiar with her YouTube channel, an incredible source of free dog training videos), said during her talk at the ORCA conference of 2019 that she has taught her dogs to look to her for positive reinforcement when she yells in her toughest voice. An example of this in action is when she is walking her dogs and an off-leash dog comes running up to them and she yells at the dog and its owner in order to protect her dogs. The off-leash dog might turn away while her dogs look to her for a treat. A great example of two different learning histories in response to the same cue. Hence, this interaction comes with a few problems. 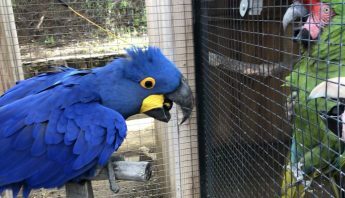 When we pair a cue, such as the verbal cue no with something our parrots don’t like or don’t want to have happen, we are teaching our parrot to avoid us or fear us. In doing so, we may not actually be decreasing the problem behavior overall but only when we are present. You might think that if aversives lead to avoidance, we do want our parrots to avoid biting us. But there is another problem when adding aversives to an interaction: aversives increase stress. Adding stress and aggression to an already stressful interaction does not solve the problem. It generally leads to more biting, more screaming, and possibly even feather destructive behavior. We all have vices that help us compensate for stress. Parrot vices rarely make for happier homesteads. I was once told by a client that she trained her African grey to stop biting by saying, “No bite, no bite.” I asked her what she did after that, and she thought about it for a moment. She said she would gently put her parrot down on the arm of her sofa or counter top because she thought he was getting rambunctious. Suddenly, her face lit up, and she asked me if that’s why he stopped biting when she told him not to bite. It’s highly likely that that was the consequence that was influencing his behavior after all. What if “No” wasn’t a cue for something bad is about to happen but instead, it meant a stop what you’re doing and do something else? When that other activity is equal or more valuable to the activity,we didn’t want the parrot to perform, the parrot has no reason to continue doing it. Think of no as a positive segue to a better activity, and the parrot didn’t access that activity first because he didn’t have the right information or the proper motivation to do so. What about those emergency situations or times when your parrot is moving toward something you really don’t want it to get to? Extreme emergency situation aside when all bets are off, you can train “No” to mean come back to me or leave the thing alone for positive reinforcement. Much like the example mentioned earlier with dog trainer Emily Larlham, we can train cues that were traditionally trained as aversives to mean something completely different. We can teach our macaw to learn that “No don’t do that” means come back to me and do something even better over here. “No bite” when a bird is getting overexcited and nippy means play with this foot toy that will keep your beak occupied. Similar to leave it, the no can be generalize to stop what you are doing and look to me for your next cue. The reason why this is so important is that flipping the consequence of what “No” traditionally means preserves our relationship with our parrots. The less stress we have in our relationship and the better we are at seeking solutions that give the parrot information on how to succeed, what it can do instead of what we don’t want it to do, the less our parrots will access undesirable behaviors overall. 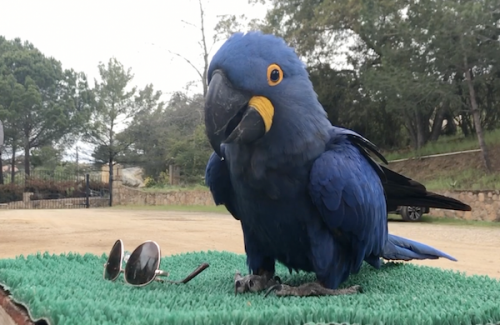 For a quick video on how we actually trained this in a week with our hyacinth macaw, Leo, check out this YouTube Video. I wanted him to learn that “No” means stop what you are doing and look to me for information on what to do next. No means many different things to different people. Speaking the same language means being consistent with our actions. To make sure you don’t miss out on our training and behavior info, get on our email list! 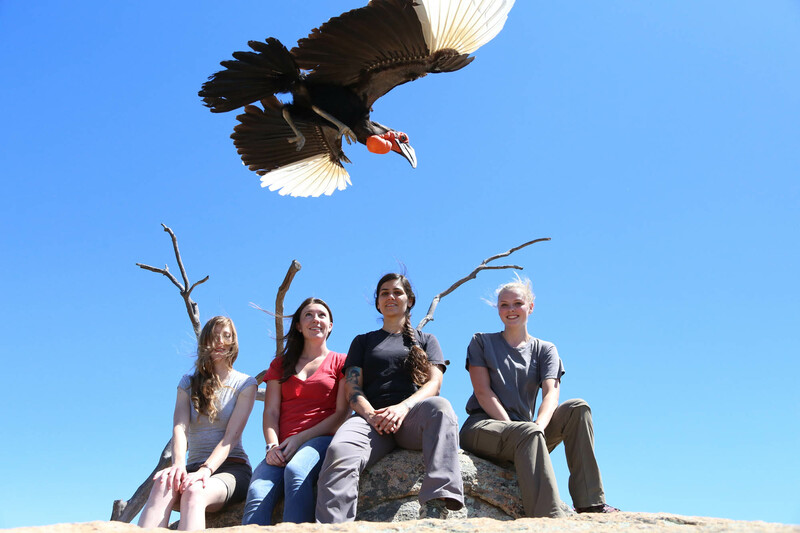 Our webinar on hormonal parrots is right around the corner.